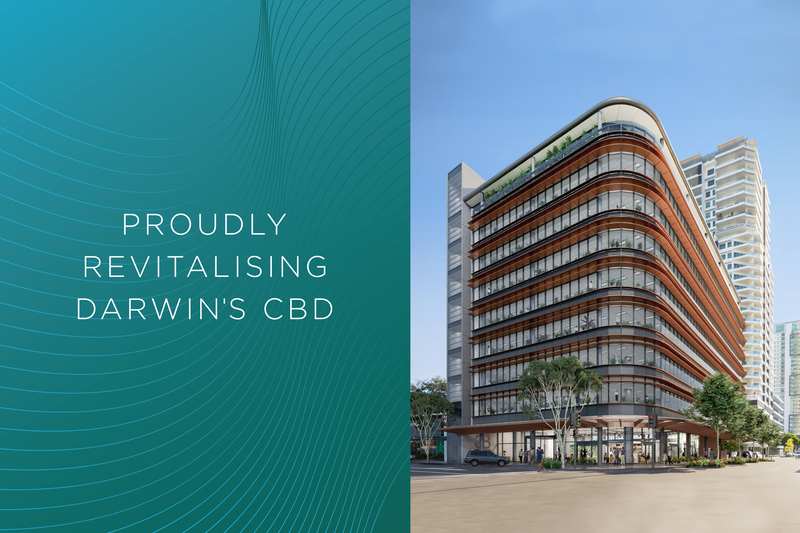 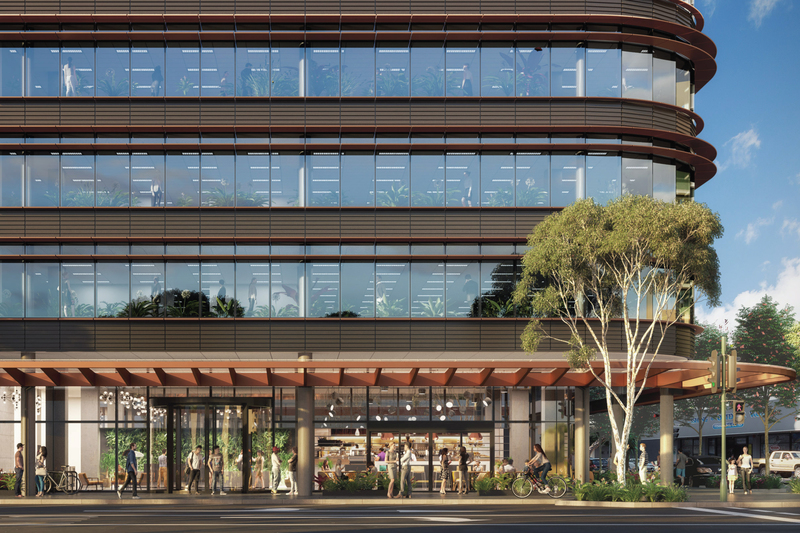 Nine storey’s of commercial opportunity, Manunda Place is a contemporary office and retail space set to change the face of Darwin's CBD. 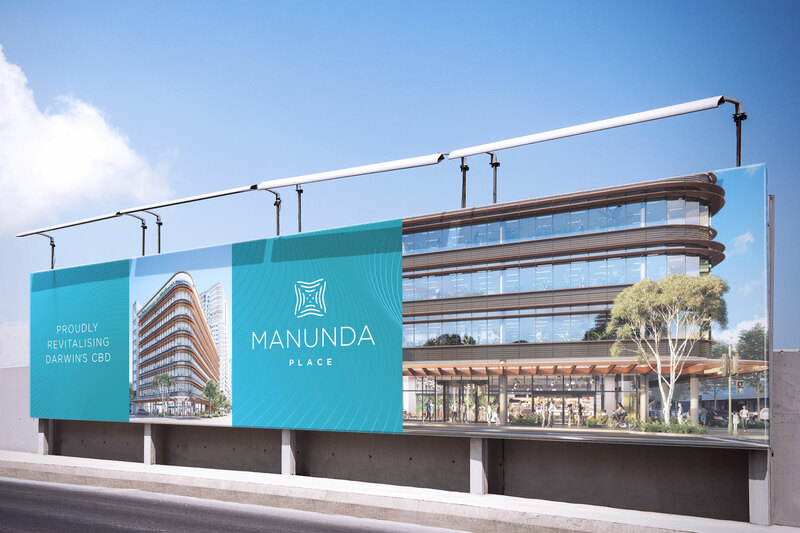 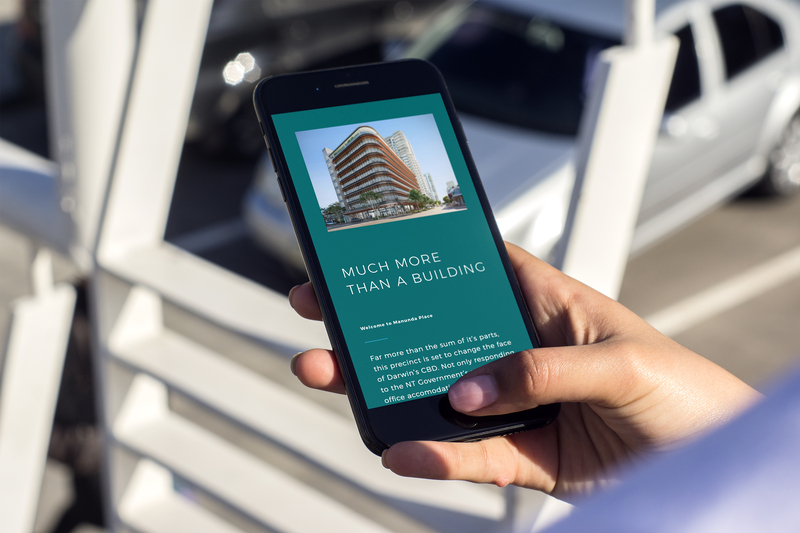 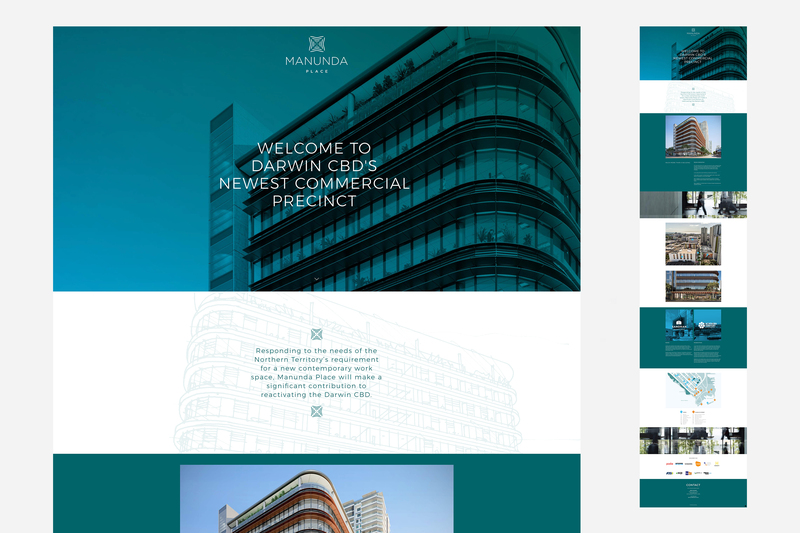 We were assigned by Sandran to develop a complete brand identity that was rolled out across a website and external hoarding signage. 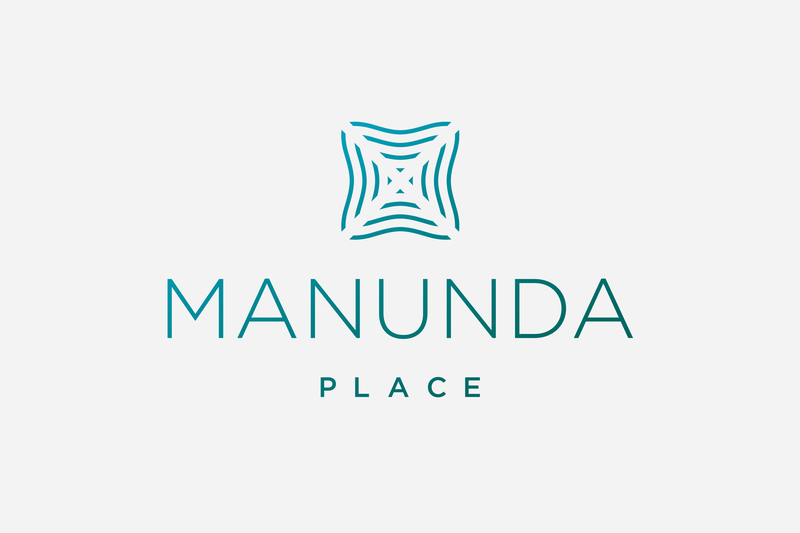 The symbol featured within the logo is derived from a maritime signal flag—a homage to the original AHS Manunda hospital ship that played a key support role when Darwin was bombed during World War II.